As promised, our Friday Feature today is about an element of the upcoming GCW system: planetary invasions. Standard disclaimer: all information below is subject to change during the development and adjustment process. While we believe this will remain accurate, unforeseen circumstances are always a possibility. 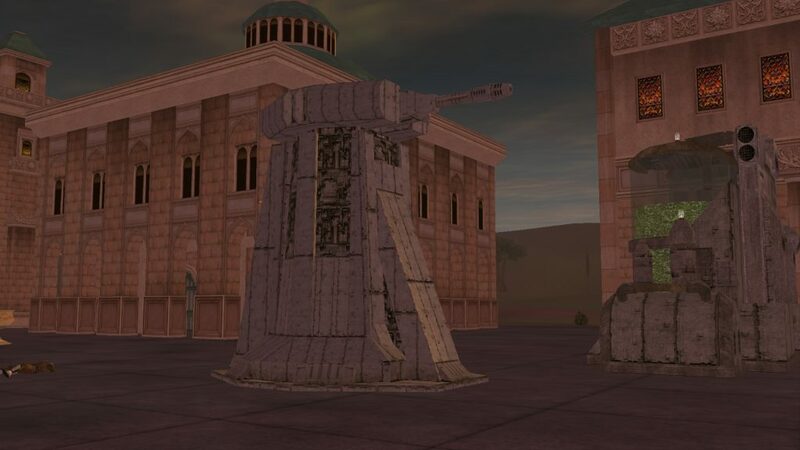 In a previous Friday Feature, Political Power, we discussed how players could be elected to their chosen faction’s ruling body, which manages the war effort by selecting enemy planets for invasion, engaging in a sort of dejarik game against the opposing faction’s ruling body. Today’s feature is about the boots on the ground – how planetary invasions work! Stage 1: Forces Marshal It may be a bit of a misnomer to call this a “stage”. As an invasion kicks off, initial defense forces rally around the defending starports. Defenses generally consist of mid-sized squads of troopers, as well as multiple defense turrets. Large-city starports deploy autoturrets both in normal defensive positions and inside the landing ring to prevent attacking troops from bypassing the defenses by using civilian transport. Attacking forces spawn at a nearby beachhead camp and prepare to march on the target starport. These forces usually have large squads of troops and, depending on the size and value of the target, combat walkers ranging from small AT-RTs all the way up to massive AT-ATs. The walkers are reserved strictly for players; unlike the troops, they will not act without a living commander. During the “forces marshal” step, PvP zones will be established. Any player entering the invasion zone will be vulnerable to attack from other players. 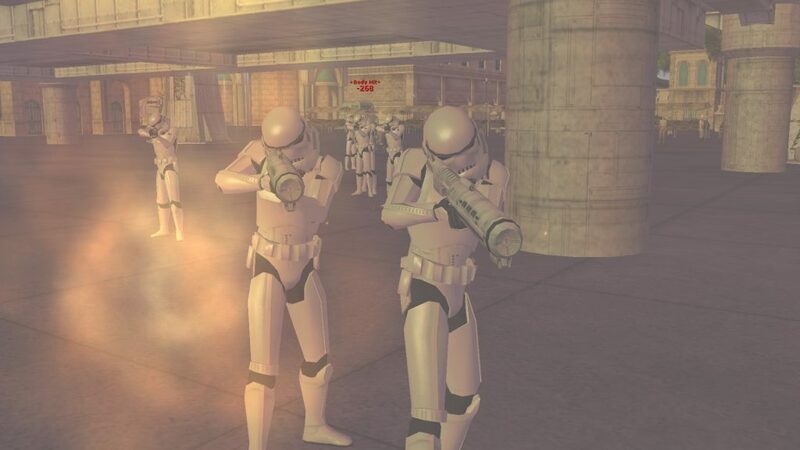 Finally (though it may not be available for the NYE live server event), players will be able to use factional trooper coordinators to travel directly to a starport (if a member of the defending faction) or to a beachhead camp (if a member of the invading forces) of the world being attacked. Offensive forces marching on the target will inevitably clash with the static defenders. NPC armies will engage, and without player involvement the defenders will have a small advantage given their autoturrets. Attacking forces, however, can use their assault walkers to crack through the defenses and make their way into the target starport. Both offensive and defensive forces will regularly respawn and maintain a running battle throughout the invasion time. However, defensive autoturrets and invading walkers will not respawn, and once knocked out of the fight are out for the duration of the invasion. Attacking players need to force their way into the starport and take control! To seize control requires five players – a bounty hunter, a smuggler, a doctor, a commando, and a squad leader. The bounty hunter will initiate the takeover by jamming the uplink terminal. (This requires the Investigation II box and grants a healthy chunk of investigation XP!) The minigame for an uplink jam is a simple higher/lower guessing game. The smuggler then slices into the security terminal. (This requires the Slicing I: Terminals box.) This process follows the standard slicing minigame; it is highly recommend the smuggler be prepared with a molecular clamp so he does not screw up the slicing process! The doctor then uses the override terminal and provides a DNA sequence. It uses a gene letter matching minigame with A-T and C-G DNA sequencing. The commando switches alignment on the power regulator next. 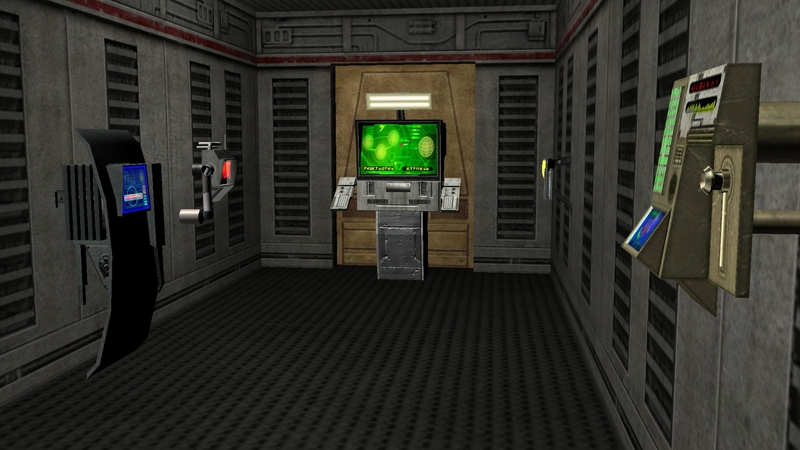 The minigame requires the player to switch all the switches to either “on” or “off”, with the catch that flipping one switch will affect other switches as well. Finally, the squad leader uses the HQ terminal to seize control of the starport! A successful invasion requires the attacking faction to seize all the target planet’s starports inside the time limit. All the starports must be seized. The invasion system is programmed so that we can adjust the time limit on a per-planet basis (as well as adjust attacking and defending forces). For initial purposes of the GCW, all planets will have a 60 minute time limit to successfully complete an invasion. When the GCW is fully released, we will be monitoring the GCW closely and adjusting as necessary to ensure both factions have a chance at seizing planets. We have no illusions that it will be perfect right out of the box; monitoring and adjusting is an important and necessary step. 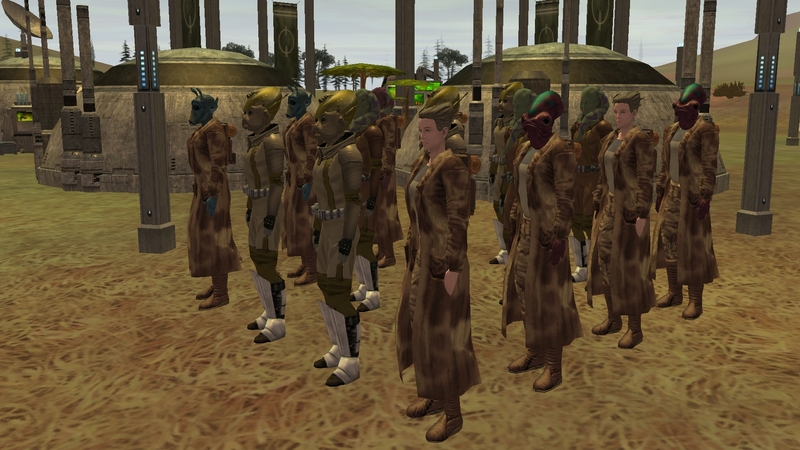 The dev team is proud of the invasion system, though we ask that players understand the limitations of the SWGEmu code. Elements we are using to pull this off are as-of-yet unfinished, particularly in regards to the NPCs, and some wonky behavior results. We’re waiting in part for the SWGEmu team to finish their AI revamp to smooth out some rough edges. Good luck, have fun, and may the Force be with you! This entry was posted in Friday Feature by Halyn. Bookmark the permalink.